With 15 million Americans abusing prescription opioids and drugs like heroin and fentanyl, the Opioid Epidemic is a true, national crisis. 115 people overdose every day in the US from opioids, and it’s entirely preventable. An overdose can happen intentionally or unintentionally as people abuse illicit drugs, misuse legal painkillers, combine substances, or accidentally take too many pills. Administering naloxone (the anti-overdose medication also known under the brand name Narcan) to opioid overdose patients can save a life, regardless of the behavior that led up to it. As part of many states’ efforts to reduce the number of fatal overdoses each year, overdose reversal medications, like Narcan, and fatal overdose prevention classes are now more widely available to medical professionals and the public. Education is the first step in turning the tide. 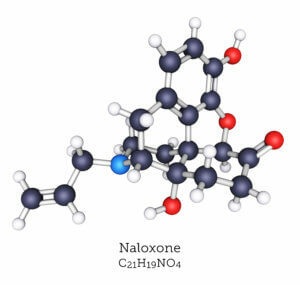 Naloxone comes in the form of intranasal spray and intramuscular, subcutaneous, or intravenous injection. Narcan Nasal Spray® can be inserted into an overdosing individual’s nostrils to reverse symptoms and potentially save their life. It is safe for children and pregnant women in most cases, and has no effect on an individual without opioids in their system (it would be as harmful as spraying water in your nose). Between 1996 and 2014, at least 26,500 lives were saved using naloxone. Because the medication blocks opioid receptors, administering it prevents the body from getting any “higher” and starts undoing the effects of opioids already in the body. This can cause a sudden opioid withdrawal, followed by symptoms like body aches, diarrhea, increased heart rate, sweating, vomiting, and shaking. Opioid withdrawal can also be deadly, so it’s essential that a person receives medical attention, even after naloxone has reversed their overdose. Additionally, it’s important to remember that opioid overdoses are different than stimulant (i.e. meth or cocaine) overdoses and must be handled differently. For a stimulant overdose, calling 911 as soon as possible is the best course of action. Conversely, opioid overdoses can be reversed by laypersons with little to no medical training. Opioid overdose fatalities are caused by a lack of oxygen when an individual stops breathing. Before administering Narcan, familiarize yourself with what can cause an overdose and what one looks like. Mixing substances Mixing drugs like heroin, benzos, or barbiturates with another “downer” like alcohol can lead to overdose. Tolerance Tolerances can be reduced after detox or when taking an addiction treatment medication, meaning it takes less for a substance to result in overdose. Purity Alcohol and drugs vary greatly in potency – the purer, or more powerful, a substance is, the more likely you are to overdose. Using alone Using alone cannot cause an overdose, but it increases the likelihood of fatal overdose as no one is around to help. As soon as you believe an individual is overdosing from opioids, you should begin taking anti-overdose steps. If the person is responsive, sometimes, holding them up and walking around a room can help prevent an overdose from coming on. If the situation has progressed past that point, check that their airways are clear of any blockages, and administer a single dose of Narcan. Peel back the package to remove the device. Hold the device with your thumb on the bottom of the plunger and 2 fingers on the nozzle. Place and hold the tip of the nozzle in either nostril until your fingers touch the bottom of the patient’s nose. Press the plunger firmly to release the dose into the patient’s nose. The overdose should begin to abate in 2 to 3 minutes. However, if symptoms don’t change, administer subsequent doses of Narcan every 3 to 4 minutes until they have revived or emergency services arrives. If the individual’s breathing is too slow or shallow, start rescue breathing (tilt the head back, pinch the nose, and breath slowly into their mouth every 5 seconds). While Narcan is the first FDA-approved nasal spray for reversing opioid overdose, it is not available for sale without a prescription in all 50 states. 41 states have legalized the sale of Narcan without a prescription inside of a CVS. Delaware, Hawaii, Kansas, Maine, Michigan, Nebraska, Oklahoma, South Dakota, and Wyoming are not included. 45 states and the District of Columbia offer naloxone in Walgreens; Maine, Michigan, Nebraska, Oklahoma, South Dakota, and the District of Columbia are included on Walgreens’ list. Kroger and some Publix and Sam’s Club pharmacies also offer the drug without a prescription. Walmart will carry the medication starting in October in states where it is legal to do so (though they have yet to release a list of available states). Prices for naloxone vary depending on insurance co-pays and eligible coupons (like the ones available on GoodRx.com). Narcan Nasal Spray® costs about $37.50 (for qualified group purchasers) per 4 mg dose (equal to $75 per carton of 2 doses). Typically, people spend between $20 and $40 on Narcan or another generic naloxone kit; though 77% of prescriptions have a co-pay of $10 or less. If you’re looking for Narcan training, visit the Substance Abuse and Mental Health Services Administration website for addiction centers that offer classes. Get Naloxone Now also offers a free online course (with CE or CASAC credits available for a fee) and recommends that anyone with a family member using prescription narcotics (i.e. OxyContin, Percocet, Vicodin) to take the class. In 30 minutes, you can learn to save a life and give someone a second chance.